Internet Sacred Text Archive: What's New? Notable Recent Additions Version cutoffs What is RSS? 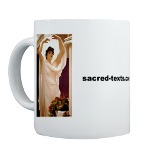 Never miss another sacred-texts update! The simplest way to subscribe to our RSS feed is to sign up at FeedBlitz for our email-based updates. You can do so by entering your email in the form above and pressing 'Subscribe.' These emails are sent when major additions to the site occur, which is normally every few days. You can also add sacred-texts "What's New?" content to your RSS-enabled blog or RSS feed reader, by adding the RSS feed at the link above (http://www.sacred-texts.com/rss/new.xml). into the box labelled 'Search by topic or feed URL' and press 'Go'. If you have Internet Explorer 7, you can add a RSS feed directly into the 'favorites' dropdown list. Fifty Christmas Poems for Children (3/6/2007) Thanks, Eliza! Also, added the Gnosticism index. Also, added the Sub Rosa index. (4/24/2006). Indian Myth and Legend (1/2/2006). Gypsy Folk Tales, and the Roma Index (12/21/2005). This was contributed by the volunteer known as 'Simon Magus.' Thanks! (9/17/2005) I've also uploaded the Philosophy and Shakespeare sections, which were previously only available on the CD-ROM. (7/30/2005) This is a complete overhaul of this important SBE volume. Thanks to Eliza at sacredspiral.com! A completely re-edited and improved version of this text. Thanks to Eliza Yetter from Sacred Spiral! Thanks to Srinivasan Sriram and Distributed Proofing! Thanks to the volunteer known as 'Sahaji'! also, Lore of the Unicorn (2/6/2005), thanks to Eliza Yetter from sacredspiral.com! Mahabharata, Book 13: Anusasana Parva This completes the Mahabharata etext (1/12/2005). The Hero of Esthonia, volume 2. (1/7/2005) Thanks to 'Simon Magus'! Thanks to Eliza at Sacred Spiral! This completes Book 12 of the Mahabharata. (11/14/2004) Thanks to 'Simon Magus'! The Hero of Esthonia, vol. 1. The source book for Mel Gibson's controversial movie The Passion of Christ . Orpheus: Myths of the World [JBH]. The Orkneyingers Saga, thanks to northvegr.org (8/12/2004). NOTE: everything below this line made it into the 4.0 version of the CD-ROM. Everything above will be in the next version. (7/10/2004) Added hyperlinks from the EBD back into the KJV. This is an additional translation of the Tao te Ching which includes the complete Chinese text in embedded graphics. Contributed by Phillip Brown. Thanks Phillip! 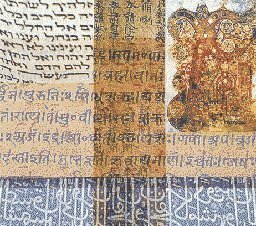 scanned at sacred-texts.com, is literally the oldest book in the world. This includes the Yusuf Ali translation, pronunciation guide and Arabic script in gif image files. This completes the entire four volumes of this work. I've also added a master index for the series. Contributed by Eliza Fegley at sacredspiral.com Thanks, Eliza! I also added the Icelandic Lore index. (5/1/2004). Contributed by Eliza Fegley at sacredspiral.com. Thanks, Eliza! Thanks to Eliza at sacredspiral.com for providing the initial proof file on this text! contributed by Eliza Fegley at Sacred Spiral Kids Thanks, Eliza! Contributed by 'Some Dude'. Thanks, Dude! An update of this etext. Contributed by Eliza at sacredspiral.com. Thanks, Eliza! This is an updated and expanded version of this etext. This is a revised version of this etext with numerous corrections. I added a missing chapter and reformatted it to current site standards. Donated by Eliza Fegley. Thanks Eliza! contributed by Eliza at sacredspiral.com. Thanks Eliza! There are a couple of new articles about Taoism here and here, thanks to Chris Weimer. contributed by Eliza at sacredspiral.org. Thanks Eliza! Book of Nature Myths -- thanks Eliza! Eskimo of Siberia -- thanks Chris! Human Nature in the Bible -- thanks 'Some Dude'! Origins of Popular Supersitions and Customs (contributed by Eliza at sacredspiral.com. Thanks Eliza!). (10/1/2003). NOTE: everything below this line made it into the 3.0 version of the CD-ROM. Everything above will be in the next version. Thanks to everyone at Distributed Proofing who worked on this! Truth of a Hopi (8/10/2003). Donated by Eliza at Sacredspiral.com. Thanks Eliza! (7/21/2003). This is an updated version of this text, with Chinese characters embedded as high resolution monochrome image files. Two texts donated by 'Some Dude'. Thanks, Dude! Also, I reformatted the Walam Olum and wrote a new introduction (7/14/2003). I also started the Northwestern Native American section. A completely new version of this etext. Islamic apocrypha, contributed by Chris Weimer. Thanks Chris! contributed by Eliza Fegley at sacredspiral.com. Thanks Eliza! Added the Miscellaneous section. (5/26/2003). Thanks to Sergey Moskalev for this Sufi text! This is a completely updated etext of the SBE 16 version of this key text, translated by James Legge. NOTE: everything below this line made it into the 2.0 version of the CD-ROM. Everything above will be in the next version. Chris Weimer has contributed a couple of great files about South American traditions, so there is a new index for this topic. Thanks Chris! King Arthur: Tales of the Round Table (3/13/2003). Translated by Thomas Taylor (1/18/2003). At last, I've added a Theosophy Index (1/13/2003). Sacred Time, also Planetary Positions (11/16/2002). Contributed by Dr. Alan R. Young, Ph.D.
Simplified the shopping cart; added new a subsection on Rosicrucianism, including a whole archive of Max Heindel material, and added a subsection in the UFO section about Mars (10/13/2002). This text has been completely overhauled and reformatted. Several missing pieces were added, as well as all the illustrations. (10/10/2002). NOTE: everything below this line made it into the 1.2 version of the CD-ROM. Everything above will be in the next version. This is a legendary history of Ethiopia, scanned by Chris Weimer. Thanks Chris! This is the first book at this site relating to the Japanese ethnic minority known as the Ainu. this is the first Chinese Unicode file at this site. The Political Aspects of S. Augustine's 'City of God'. Re-edited Aradia, Gospel of the Witches. Chris Weimer donated two new early Christian texts. Thanks Chris! these two were contributed by Chris Weimer. Thanks Chris! Finished a long-overdue renovation of the bookshop (4/28/2002). A massive overhaul of the Bible section has been completed. Thanks to Chris Weimer for redoing this important volume. The Aborgines of Western Australia by Albert F. Calvert. Buddhist Mahâyâna Texts (SBE 49), also donated by Chris Weimer. Clothed With The Sun by Anna Kingsford. A spiritualist masterpiece from the 19th Century with a feminist twist, by a woman who was a key figure in the formation of the Golden Dawn and Theosophy. The Kasîdah of Hâjî Abdû El-Yezdî. I've located a couple of new Taoist texts. Taoist Teachings Translated from the Book of Lieh-Tzü. The second is an important Taoist treatise on ethics, the Tai Shang Tractate. This edition has a collection of fables which illustrate Taoist morality. Treatise of the Exalted One on Response and Retribution. Ragnarok, the Age of Fire and Gravel. Got Magick? Check out the Grimoires Page. The Qur'an transliteration has been improved to reflect the original Arabic text more closely (the old version was missing final vowels). Also, a version of the Tanakh with vowels (the Hebrew Bible). has been added.